1. 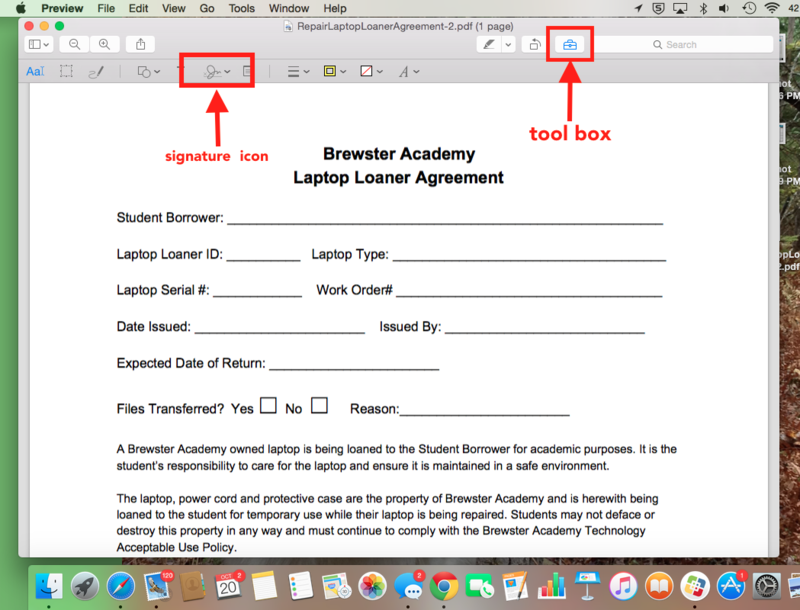 Open the PDF file you need to sign in Preview. Click on the toolbox icon and then the signature icon. 3. 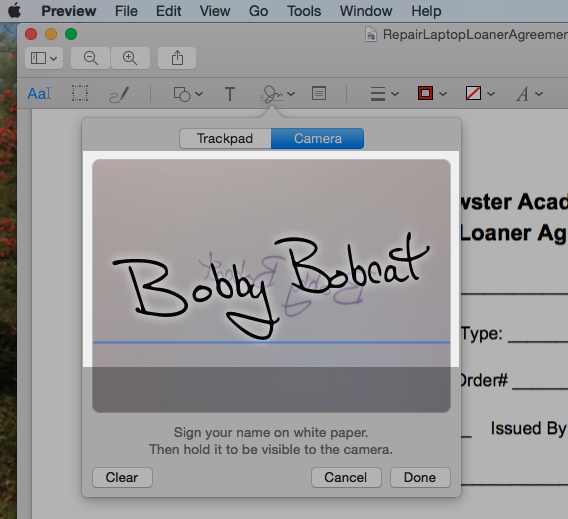 On white paper, sign your name and hold it up to your computer’s camera and align it to the line shown. If you are not satisfied with the result, click the “Clear” button and try again. Your signature will be inverted. Preview will automatically switch this. 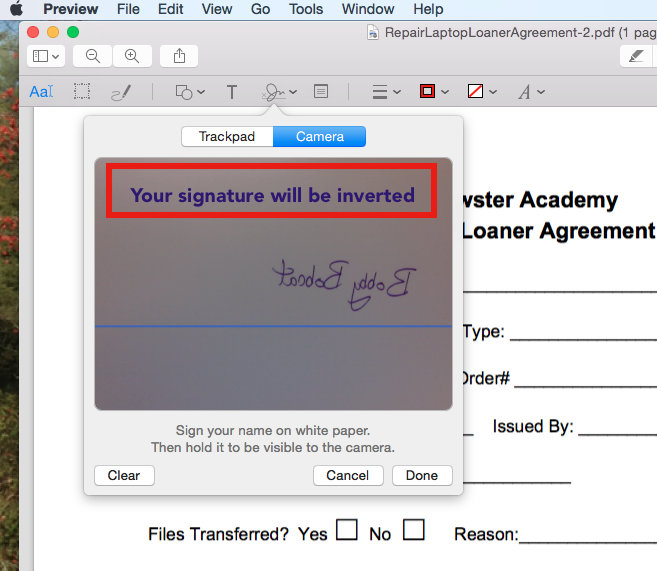 Click on your signature to insert it into the document. You can now move and resize as needed. 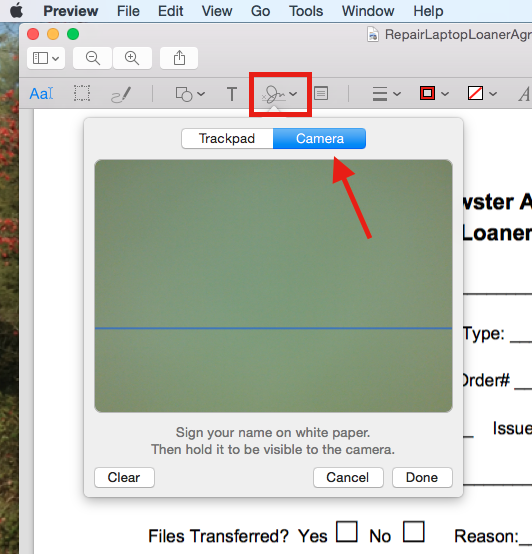 Preview automatically saves all the signatures you create in a list for you to insert into any document or files that you open with Preview.